What Is the Bead Hair Extension? Hair extensions can be combed, washed and styled like your natural hair. 3 What Is the Bead Hair Extension? If you have short or thin hair you can use hair extensions to temporarily enhance your appearance while your hair is undergoing treatment. 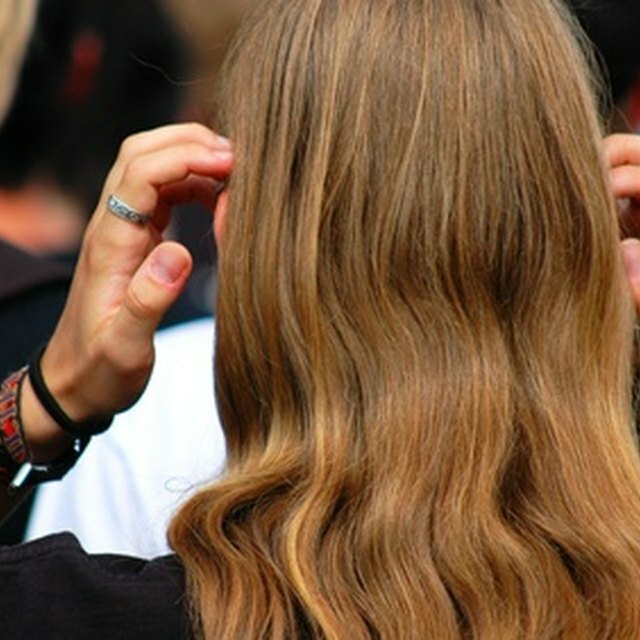 There are several different ways to attach hair extensions including gluing, fusing and sewing; however, these techniques place a lot of stress on your natural hair and can damage your scalp. Micro-beading is a newer method that uses metal crimping beads to clip small strands to your hair. Micro-bead extensions can last for five to six months with proper care and a move-up adjustment every two to four weeks. Part your hair just above the row of micro-beads. Clip the upper section of hair up and out of the way. Separate a strand of your hair that has an extension attached. Hold the hair just below the bead. Use the pliers to press against the sides of the flat bead so that it opens. Slide the hair extension and bead up the hair shaft until it is 1/2 inch to 3/4 inch away from the root. Press the extension into the bead so the end of the extension aligns with the top edge of the bead. Re-crimp the bead by using the pliers to press it firmly near the middle. Repeat at either end of the bead until the bead is secure. Repeat for the remaining strands. Beads occasionally break when adjusted. If a bead breaks simply discard the bead fragments and apply a new bead.